Here are 13 of the Best Chocolate Keto Dessets from myself and some of my favorite bloggers. All the chocolate desserts are so decadent and incredibly luscious you would never guess they are low-carb, dairy free, Keto, and secretly healthy! I’m really excited to be sharing this Chocolate Keto Desserts Roundup with you today!!! If you’re a chocolate lover like me, or know someone who is, this is the place for you. Make any of these chocolate desserts as an end to a romantic dinner or to cure all your chocolate cravings. The best part, you don’t have to ruin your diet! All the recipes are Keto, gluten free, and dairy free. Now, the only problem is deciding which one to make ? Enjoy!!! These Hail Merry Knock-Off’s from Tessa Domestic Diva are dense, creamy, rich, and decadent! They’re loaded with healthy fats and are surprisingly easy to make. These No-Bake Brownie Bites are not only super fast and easy, but they will satisfy the fiercest of chocolate cravings and are perfect for any occasion. This quick & easy Dark Chocolate Mousse from Tessa Domestic Diva is so creamy, silky, and fudge-y you’d never believe there’s no dairy and that it’s actually healthy for you! These Classic Truffles feature a rich, creamy, melt-in-your-mouth center coated in a chocolate shell, cocoa powder, sprinkles, coconut flakes, or nuts. 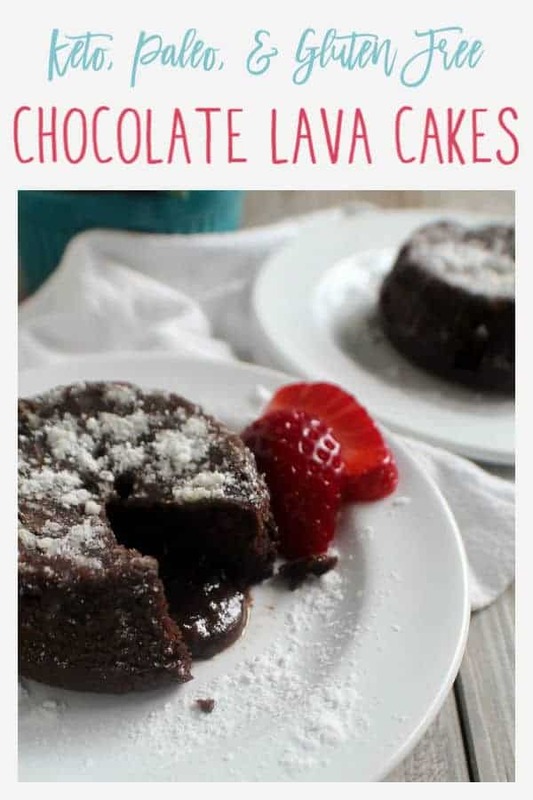 They’re made Keto friendly by using sugar free chocolate and are a breeze to make, requiring only a few simple ingredients! These truffles from Whole New Mom are a simple, no-bake dessert that are loaded with the healthy goodness of cocoa, avocado, coconut butter, and a low carb sweetener. They give the traditional cream and sugar truffles a real run for their money! These Dark Chocolate Raspberry Truffles from Tessa Domestic Diva will knock your socks off! They’re super dark with a tart raspberry finish – a chocoholics dream! This chocolate avocado ice cream from Whole New Mom is super rich, creamy, healthy, and is tastier than store-bought vegan ice cream. If you’re a chocolate lover you will LOVE this chocolate ice cream! This Chocolate Mayonnaise Cake For Two from Grumpy’s Honeybunch is baked in the microwave then frosted with a whipped cream topping making it a super easy and tasty dessert to share. Plus, the cake can easily be made dairy free by using coconut cream instead of heavy whipping cream. These White Chocolate Bites from Allergy Girl Eats only have 3 basic ingredients – cocoa butter, freeze-dried raspberries, and vanilla. Optionally, you can also add some sweetener or MCT oil to transfer them into fat bombs to fill you up and make the perfect afternoon pick-me-up! This Chocolate Silk Pie from Gluten Free Easily has a rich, chocolate filling with a simple almond flour crust. To make the crust Keto, I would omit the honey, add granulated Keto sweetener to taste, and add melted butter until the crust came together enough to press into the dish. Or, you could use this Keto Traditional Pie Crust. Also, if you replace the semi-sweet chocolate chips with Lily’s Chocolate Chips or Enjoy Life Dark Chocolate Chips you’ll have a perfect Keto-friendly Chocolate Silk Pie ? These Chocolate Macadamia Nut Cups are the perfect no-bake Keto dessert or snack. There are 2 chocolate coatings to choose from based on how sweet you prefer your treats to be and how many carbs you need them to have so they turn out exactly how you like! These are the perfect bite-sized treats! They feature egg free, edible cookie dough covered in chocolate and will be one of the easiest and tastiest fat bombs you’ll ever make!!! drool!! So many goodies to pick from, only hard to pick where to start! Thanks Tessa!! I agree, so many goodies it’s hard to choose which one to try first! Oh my goodness, look at all this glorious chocolate keto goodness! Every recipe looks AMAZING! Thanks so much for including my Chocolate Silk Pie and telling folks how to adjust it, Cassidy! No problem Shirley, I’m happy to include it!! !